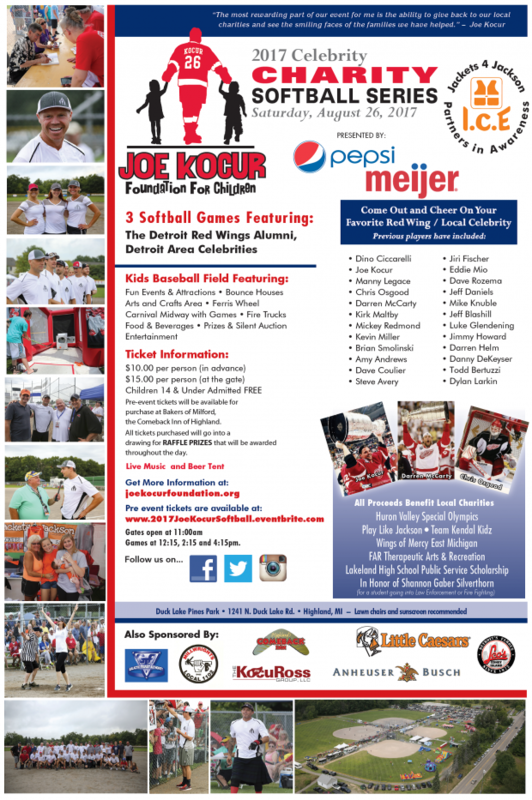 Join us for the 2017 Joe Kocur Foundation for Children Celebrity Softball Series. For all first time attendees, sponsors, donors, returning guests and fans, the day will consist of three 7-inning softball games featuring Metro-Detroit sports and media celebrities, including many from The Detroit Red Wings Alumni Association. Games are currently scheduled at 12:15 PM, 2:15 PM and 4:15 PM. Tons of food and beverages, kid's game area, auction, raffle, music, signings and softball!